The political poems are good, but nothing spectacular. I like the simplicity in most of his writing, but wish he pushed the poetry more. Alan Paton Douglas Livingstone Edward Callan Peter Kohler - Alan Stewart Paton was born and educated in Pietermaritzburg, KwaZulu-Natal. He started his career by teaching at a school in Ixopo where he met and married his first wife. The dramatic career change to director of a reformatory for black youths at Diepkloof, near Johannesburg, had a profound effect on his thinking. The publication of Cry, The Beloved Country (1948) made him one of South Africa's best known writers. 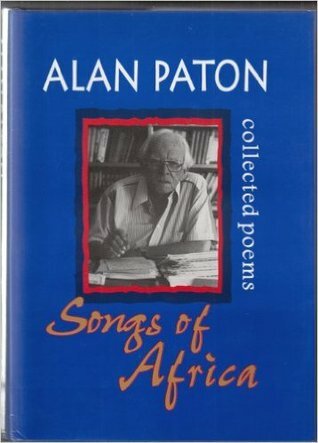 It is a searing account of the inhumanity of apartheid told in a lyrical voice which emphasises Paton's love for the land and people of South Africa, and his hope for a change in the future. It remains a world bestseller and probably one of the most recognisable titles from this country. Paton became a fulltime writer after this novel, producing novels (Too late the Phalarope 1953, Ah, But Your Land is Beautiful 1981), two volumes of his autobiography (Towards the Mountain 1980, Journey Continued 1988), short stories and biographies of J.H. Hofmeyr and Bishop Geoffrey Clayton among other writings. Following his non-racial ideals, he helped to found the South African Liberal Party and became its president. He remarried after the death of his first wife and remained living in Durban until he died.